Located on the corner of Houston and N Presa Street, the historical Maverick is on the National Register of Historical Landmarks. 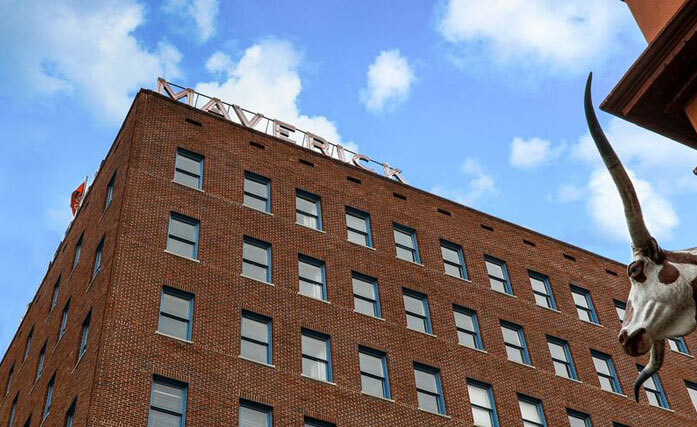 As one of San Antonio’s earliest skyscrapers, the Maverick Building enjoys a prominent downtown location. It is just steps away from the Hyatt Regency and San Antonio River walk and two blocks from Alamo Plaza. The Maverick is home to 85 best in class apartment units that offer striking views of the Tobin Center for Performing Arts and the River Walk.